April 2-3 Camp Champions – Don’t forget to bring a lunch (in a paper sack – nothing that needs to be brought back) for the first day. Please make sure your child gets a good night’s sleep and is ready for success! April 12 – Field trip to Meadows Center at Aquarena Springs. Don’t forget to bring a lunch (in a paper sack – nothing that needs to be brought back). 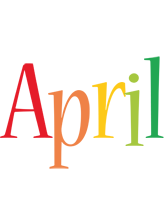 April 19 – Staff professional development day – No school for students!